When Complete Human Performance was founded in 2012, there was one goal in mind: to cut through the misinformation about training and nutrition, and to create simple, customized, and highly-effective training plans to help athletes of all levels reach their full potential. Putting together YEARS of strength and endurance coaching and experience Ironmans, ultramarathons and powerlifting, the results speak for themseleves. As Complete Human Performance has grown, our mission is now to bring together the best minds in fitness and sports performance together to develop custom programming for ANY person, at any level, anywhere in the world. A lifelong athlete, Alex has participated and competed in nearly every sport imaginable (some with greater success than others), since being dragged to his first swim meet when he was four years old. 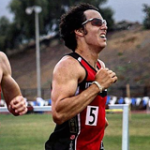 He has coached over 300 athletes of all ages and levels, in sports ranging from bodybuilding to ultra-running to triathlon to cycling to powerlifting. He has also prepared close to 40 individuals for Ranger School, SFAS, BUD/s, and other selective military programs. His Hybrid Training method is simple — it consists of breaking down the demands and unique stressors of every type of training an athlete requires, and programming to target specific demands, not “labels” (i.e. “strength training,” “conditioning,” “endurance training,” etc.). The result is a style of programming that has produced a significant number of powerlifting triathletes and 300+ pound runners. Many athletes working with Complete Human Performance find themselves setting personal records in strength, speed and distance at the same time–something that was traditionally seen as impossible. Annie “Gunshow” started on her path into fitness by achieving B.S. in Exercise Physiology and Nutritional Science as well as her Masters in Exercise Physiology. During her time as a student, she was able to start working with athletes of varying levels as well as the general population. Since finishing her graduate work, Annie has worked in the collegiate, clinical, and private setting and currently calls Memphis, TN and NBS Fitness home. Special interests to Annie are powerlifting, strongman, and physique sports. As an athlete, she has competed in all of those areas at a high level as well as dabbled in running events and CrossFit. Her areas of specialty at this time are military prep, powerlifting, strongman, and endurance improvement. Jonathan has worked in the industry for over 15 years and worked with hundreds of clients in many different fields. Jonathan has also written and taught the Strength and Conditioning Degree Program at the University level. Whilst looking after the needs of professional football (soccer) and rugby squads, he has built up an impressive roster of athletes from a variety of sports. Painless Performance has produced national champions and podium finishers in powerlifting, weightlifting and triathlon. However, it is in the field of combat sports that Jonathan spent much of his career. Initially competing on the underground and unlicensed circuits, Jonathan sought out the mentorship of experts in the field of self protection and then went on to cross train in the martial arts practicing the striking and grappling arts in as many disciplines as were available. Competing in Jiu-Jitsu and MMA whilst maintaining a strong discipline of the Strength and Conditioning and Nutritional practice, Jonathan established himself as a standout practitioner in his field. Although persistent injury stopped Jonathan competing, he has since gone on to work with international standard amateur and professional boxers, world champion jiu-jitsu players, MMA fighters competing at the highest possible level and Olympic and Commonwealth Judo players. Competitively, Jonathan now concentrates on extreme endurance challenges. 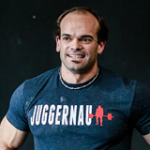 Alec Blenis has a Bachelor’s Degree in Physics from the Georgia Institute of Technology and is a NSCA Certified Strength and Conditioning Specialist. He found early success in his athletic career in the world of obstacle racing. 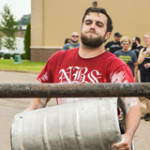 With a background in both weightlifting and cross-country in high school, it was only natural for him to podium in his first obstacle course race. After dozens of top finishes around the country, he was named to the Spartan Race Pro Team in 2013 and has been ranked as one of the top ten obstacle racers nationwide. While competing on the OCR circuit, he began running increasingly longer trail races too, ranging from marathons to 70-mile ultras. 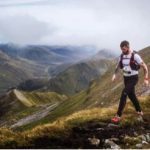 Since his first in 2011, Alec has competed in over twenty ultra marathons, with a preference for only the most rugged and technical courses. 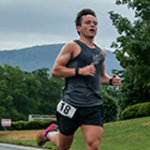 Having simultaneously trained for both short course obstacle races and grueling mountain ultras, Alec specializes in training runners with demanding racing schedules and diverse sets of goals. Whether it’s preparing for your first obstacle course race, ultra marathon, or both, he combines hybrid-training methodology with real world experience to help you succeed across a wide spectrum of endurance events. 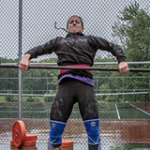 Elise Fugowski is co-owner of The Coliseum Strength and Conditioning in Central Valley, NY. She has spent years coaching dozens of athletes to prepare them for their collegiate athletic careers, both as a team head coach and individual trainer. 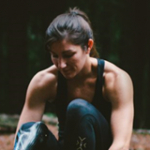 More recently, Elise has been athletically involved with CrossFit and Obstacle Course Racing (OCR). She has 10 first place finishes and has made the podium in over 95% her races. This year has marked steady improvements in all her capabilities, and with a near triple bodyweight deadlift and sub 6 minute mile time (5:42), she is well positioned to make a mark in several new athletic endeavors this year. Her areas of expertise include CrossFit, team sport, OCR programming, military preparation, Weightlifting, and other mixed modality strength/endurance events. She has successfully coached numerous CrossFit athletes from those looking to get their first muscle up to CrossFit Master’s Games athletes. She specializes in breaking down specific movements to each athlete’s ability in order to perfect technique and efficiency. Taylor is proud owner of a BS in Biochemistry and a Doctorate of Physical Therapy, which he has put to good use treating a wide variety of athletes in his career. From strongman competitors to CrossFit athletes, ultra-runners to track specialists, high school athletes to NBA players, Taylor has seen and successfully treated a wide variety of injuries and conditions. He has spent time working with the pediatric population as well, to better understand and program for the needs of the youth athlete. In addition to working tirelessly to bring great content to bear with CHP, Taylor also competes as an amateur strongman athlete. With a history of track and collegiate cross country as well, his knowledge base for rehabilitation spans a wide variety of sports. Taylor has personally transformed himself from a 4:40 miler to a strongman who can nearly run with 300 lbs farmers handles in each hand. As such, he can confidently handle not only endurance related rehabilitation and programming, but is also an excellent resource for injury prevention and recovery in strength athletes.